This solution fulfills an essential library service by enabling patrons to scan and transfer all types of documents, photos and materials. 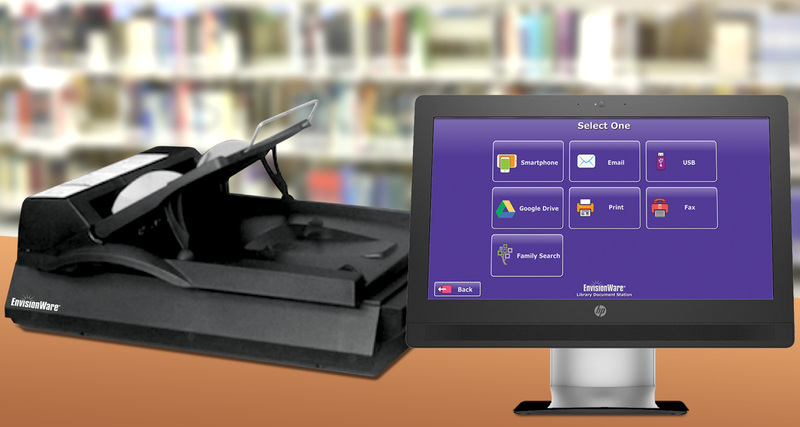 EnvisionWare offers the first full-service, do-it-all document station designed specifically for public libraries. Small enough to put on a counter, and more versatile than a standard copier or scanner, the Library Document Station™ enables you to scan books or documents and convert to PDF, searchable PDF, Word, image or MP3 formats. You can also send to a mobile device, email, print or fax. This all-in-one solution also enables library staff to scan to Odyssey, OCLC Article Exchange (optional), Illiad and integrates with EnvisionWare’s eCommerce and print management solutions.